The legendary George Clinton & Parliament Funkadelic, one of the most important innovators of Funk music alongside James Brown, Sly Stone and the Funky Meters, brings the ‘awe-funk-some’ P-Funk Collective back to Australia & New Zealand next year! Hits include ‘Atomic Dog’, ‘One Nation Under a Groove’, ‘We Want the Funk’, ‘Flashlight’ and ‘Mothership Connection’ – and his collective was finally recognized when 16 of the P-Funk Collective (the largest group ever) were inducted into the Rock and Roll Hall of Fame in 1997. 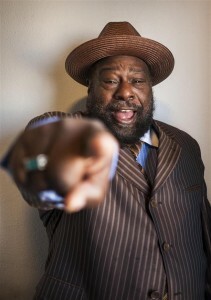 Clinton continues to release new material, including ‘Toys’ with Funkadelic in 2008 and the cover album George Clinton and His Gangsters of Love in 2006, including his take on songs like ‘Ain’t That Peculiar’, ‘Never Gonna Give You Up’ and ‘Gypsy Woman’.